In this episode of “That’s American Living”, our host takes us to the suburbs where our guests – Pestilence, Famine, and War – have taken up residence. Get a glimpse behind the white picket fences and lemonade stands and discover what sticks in the craw of these timeless brothers. 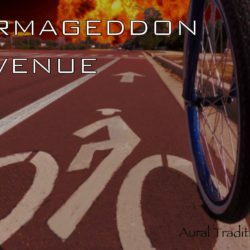 You’ll find all of this and more with a quick ride down Armageddon Avenue.